H&H is an innovative engineering company that specialises in the design, engineering, manufacturing and marketing internationally of five-axis gantry milling machines. H & H has developed processes that represent an optimal solution for industries in aerospace, defence, precision engineering, transport, medical and mould/die, with their high quality standards. 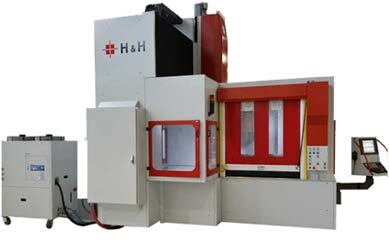 H & H’s focus is on customer requirements and working to customer specification. H & H is recognized by aerospace companies with its leading edge technology. Copyright © 2016 H & H Machine Tools. All Rights Reserved.